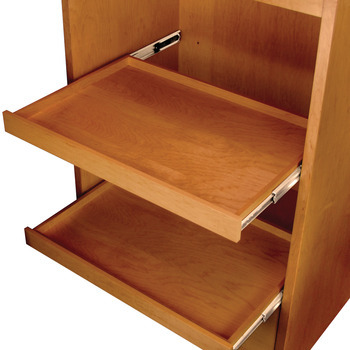 Easy-close feature brings drawers to a smooth, gentle close. This mechanism is a more robust design intended for wider drawers and heavier loads up to 150 lbs. Out stop silenced for quiet operation. Outer member hole pattern matches models 3832/3834. 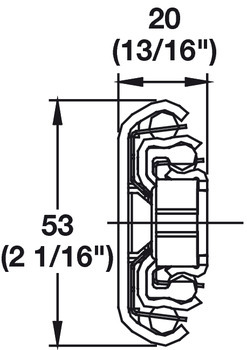 The same hole configuration and fastener type are used whether slides are going into a 1/2” or 3/4” side space. 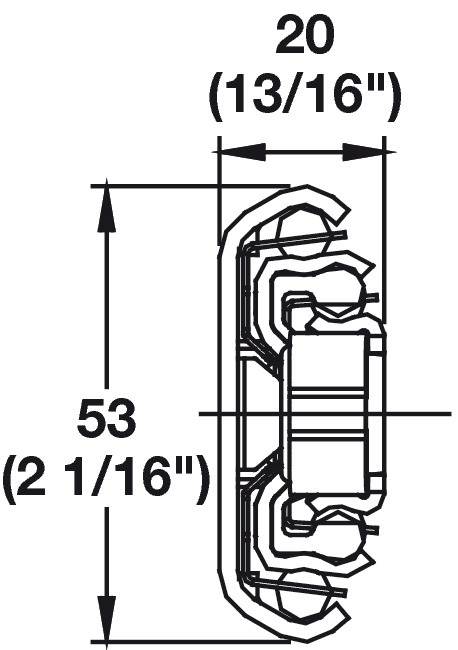 D Pack - Polybag includes one pair of slides with moutning screws. P Pack - (Bulk) Packed in 5 pair per box. Mounting hardware needs to be ordered separately.